Agile Scrum took first place in the Technology category of the New Apple Awards last year. I'm grateful for the honor, and I'm thrilled that the program continues to feature the book. 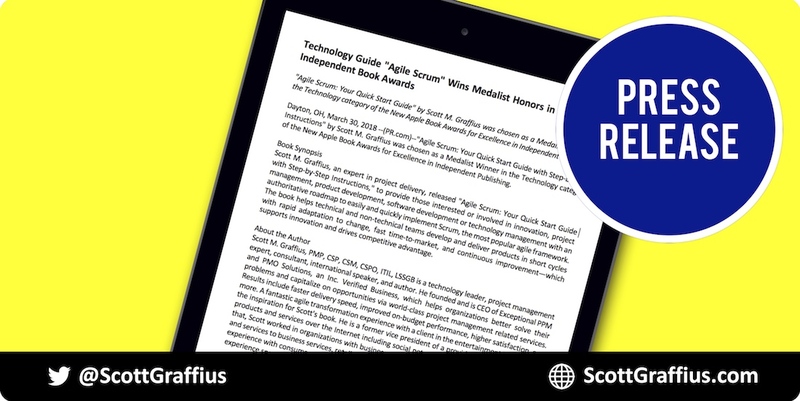 Today, New Apple published a new press release about the book—"Technology Guide 'Agile Scrum' Wins Medalist Honors in New Apple Independent Book Awards." You can see the story at https://www.pr.com/press-release/749081.